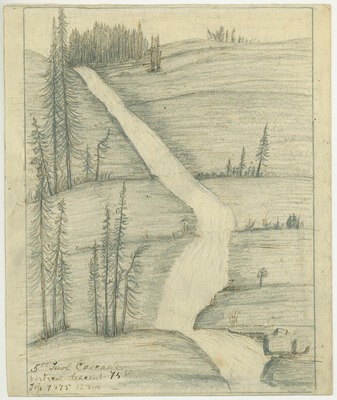 Studio copy of field drawing adapted from 1872 journal, pages 58 and 59. Probably prepared to illustrate proposed book on Yosemite Alps. Original drawing dimensions: 21.5 x 18 cm.